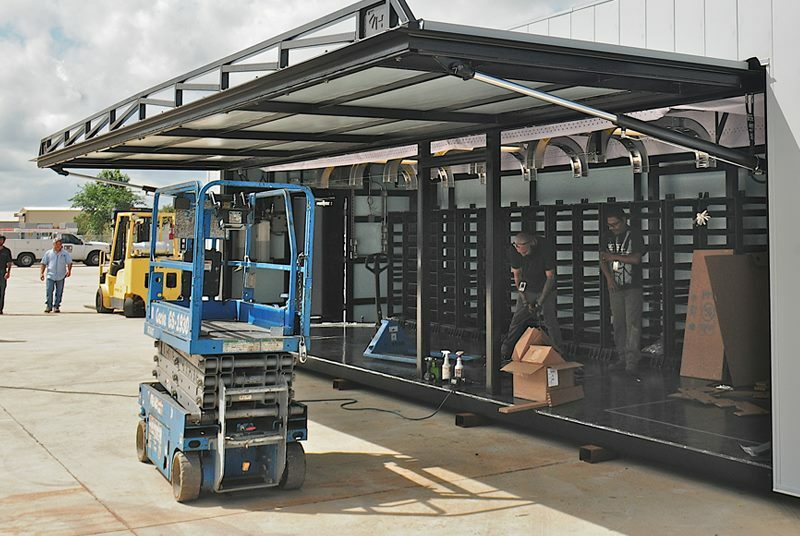 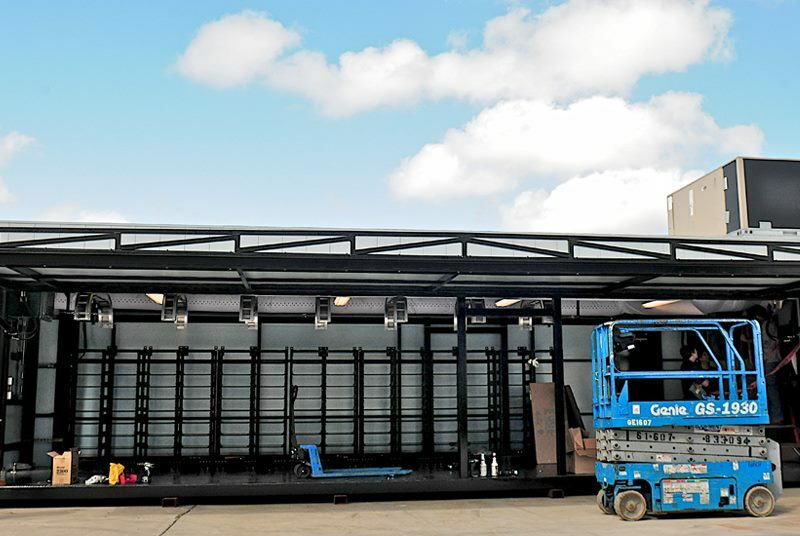 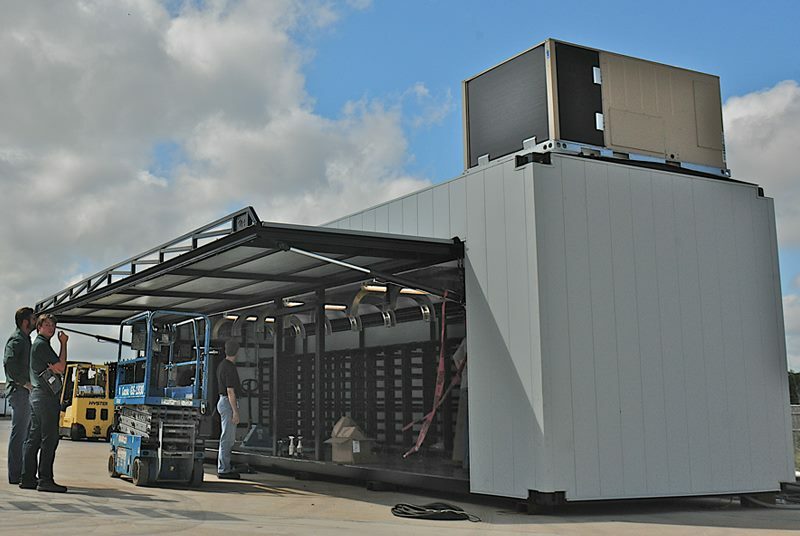 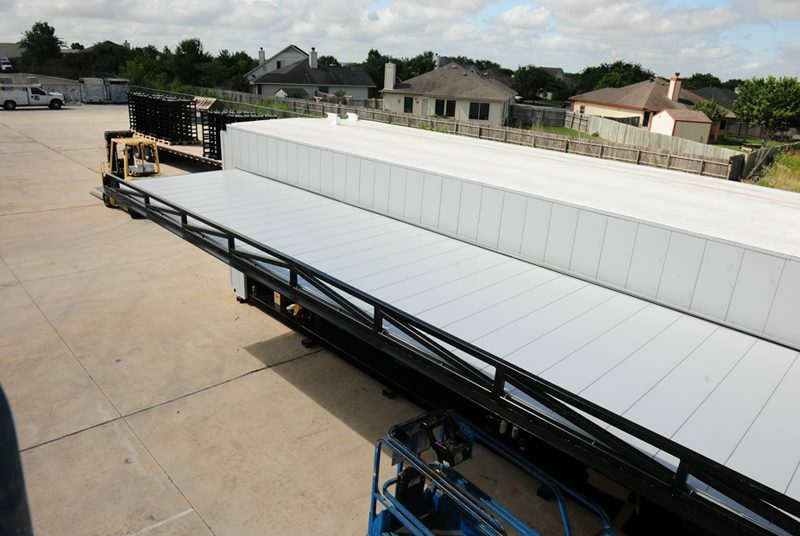 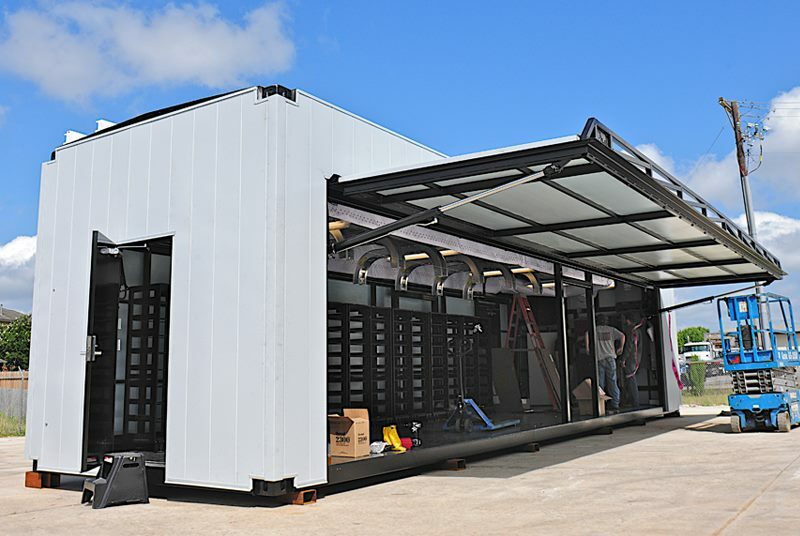 The fact that the Hydroswing® Door is pre hung in its very own load bearing frame, allowed the evolution following many requests for the growing use of ISO shipping containers for architecture, military and commercial industries. 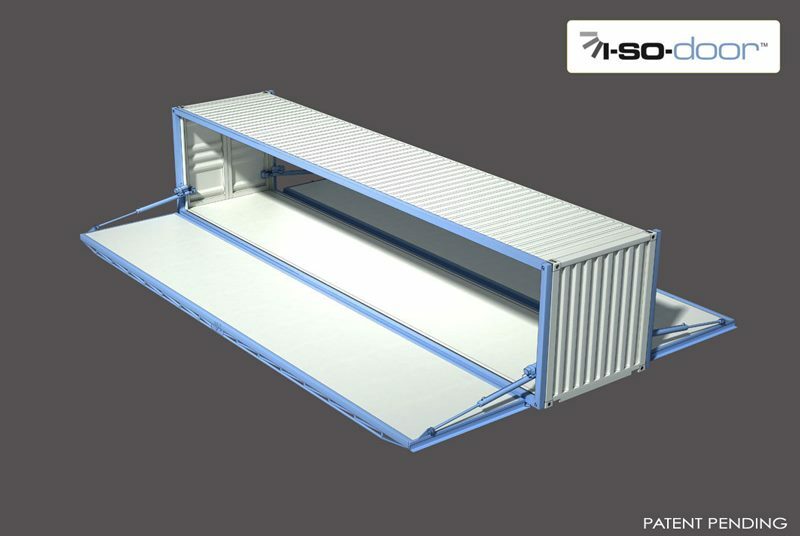 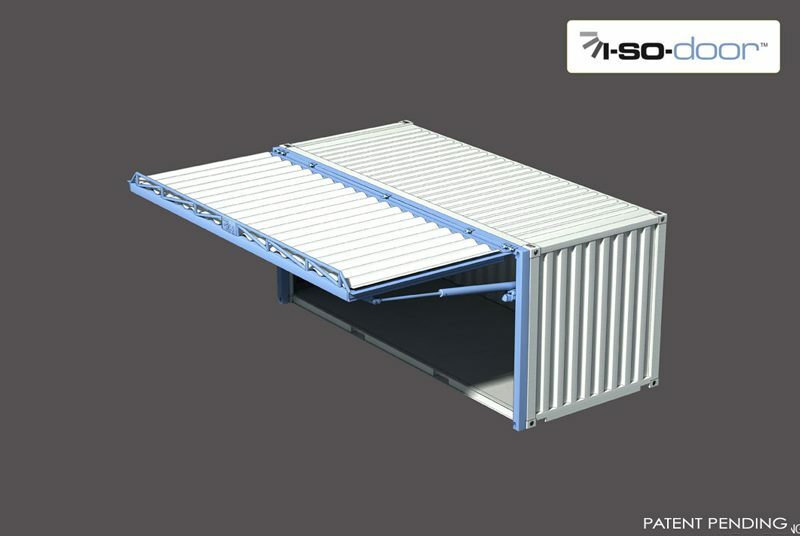 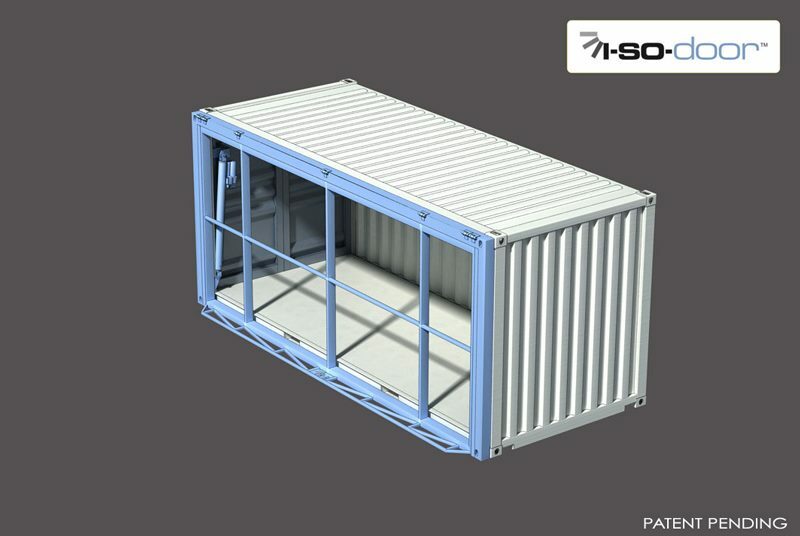 The patent pending plug and play door for ISO Containers emerged. 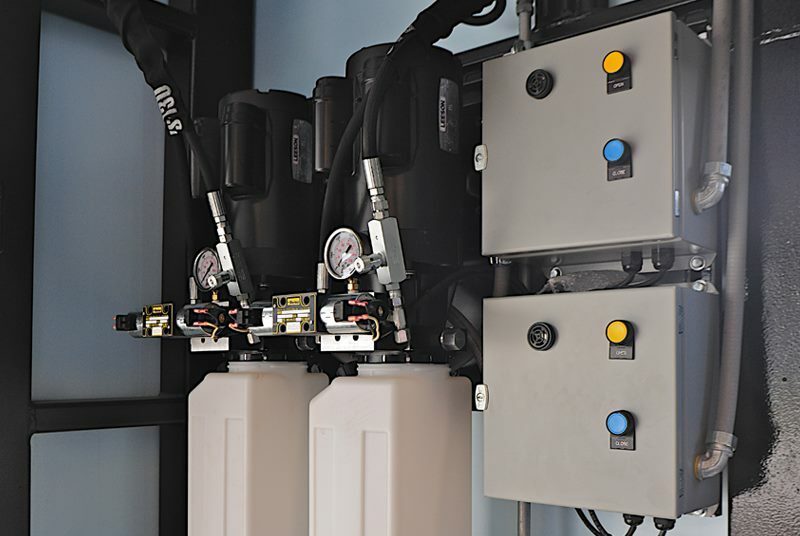 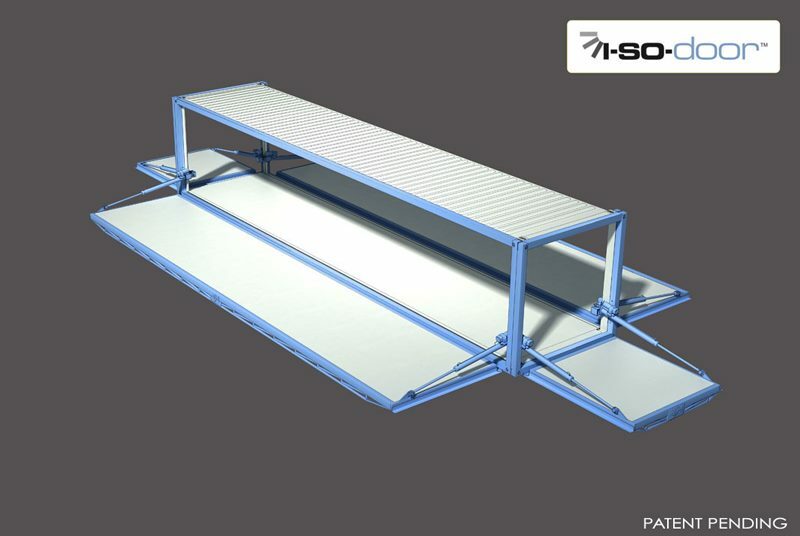 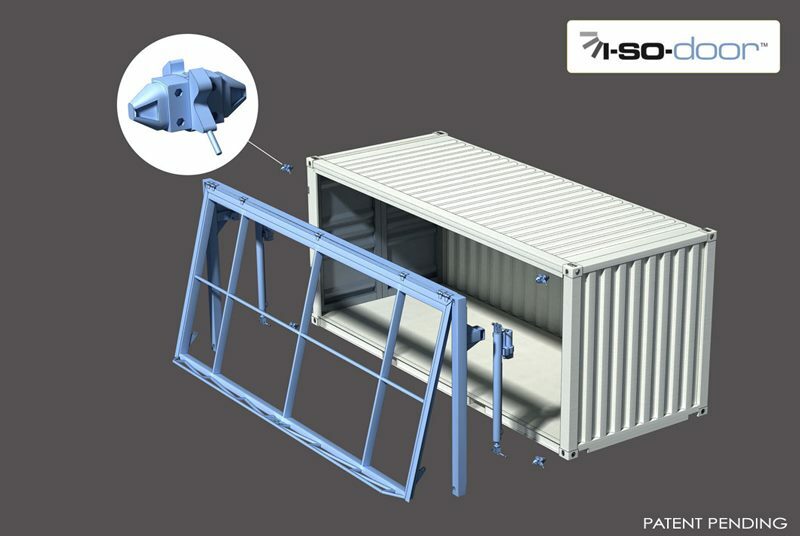 The ISO DOOR™ simply locks on to side, ends or links between side or ends of the ISO shipping container, utilizing the ISO tandemlok quick attach. 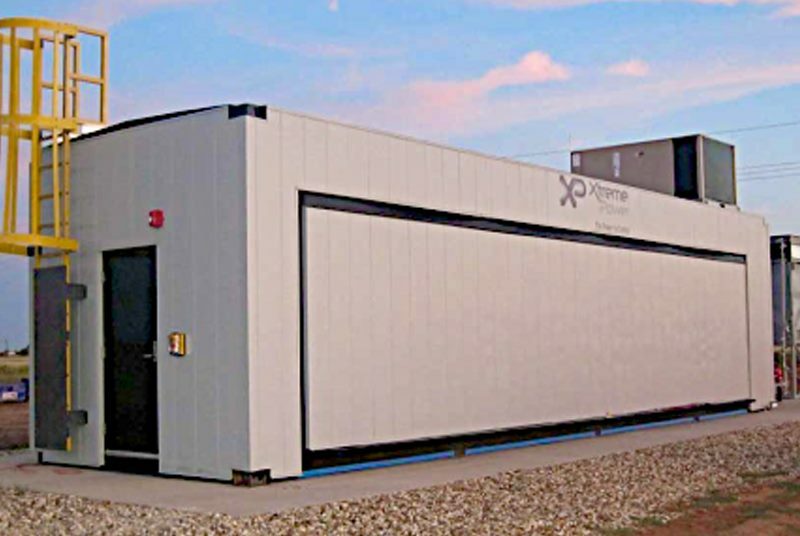 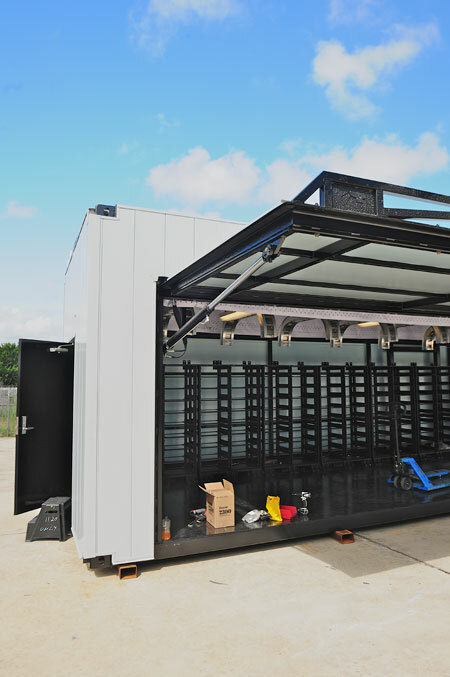 This is the "missing link" for container shelter doors for mining and military operations as well as many other industries. 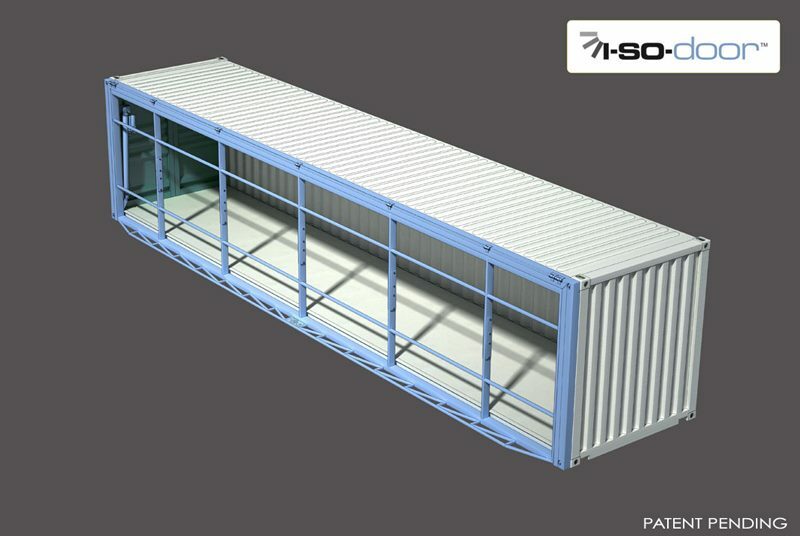 It also allows instant re-purposing of the old shipping container. 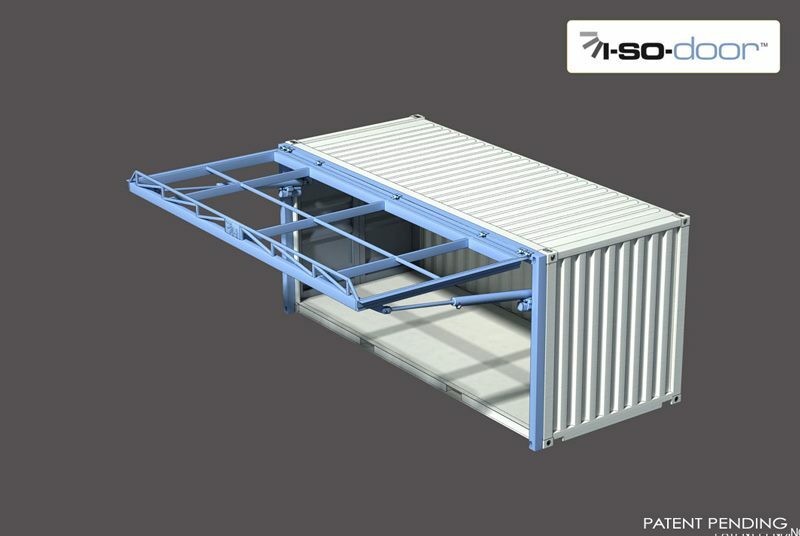 With the same single panel strength that the Hydroswing Door offers, the Hydraulic Door made a quantum leap into ISO containers. 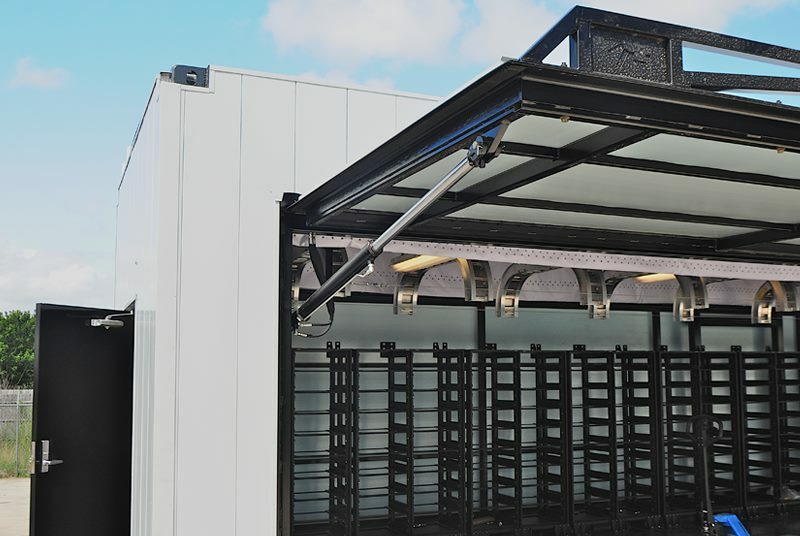 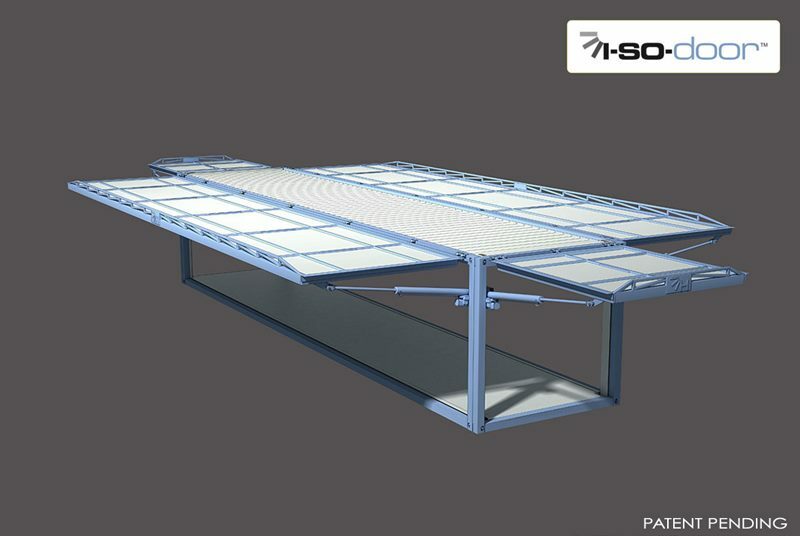 "Installing an overhead door, instead of a Hydroswing® door, would have required 2ft (609.6mm) more ceiling space. 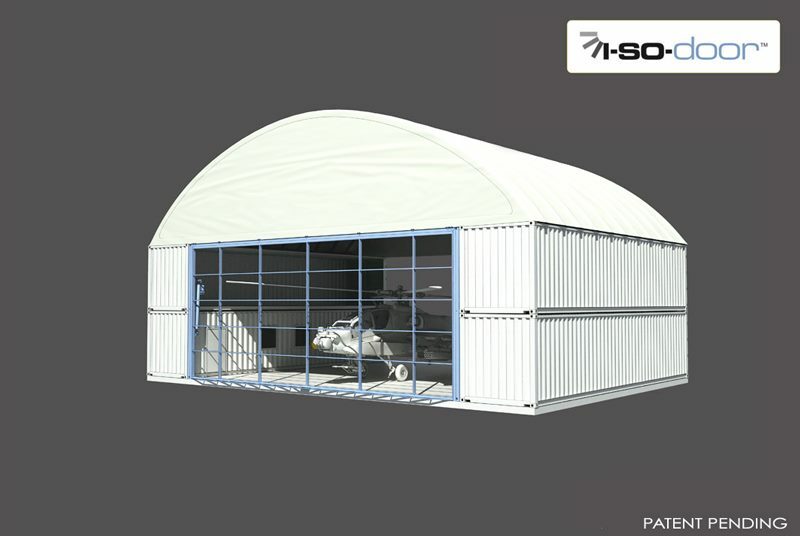 Going with 16ft (4,876.8mm) walls, rather than 18ft (5,486.4mm), almost paid for the door, and the lower walls give us less space to heat. "